I have been working on the parable of the wheat and the tares Matt 13: 24-30 || GTh 57 and have been fascinated by some of the suggestions that various commentators have come up with in the way of interpretation. It is clear that they have never been involved in a wheat-growing enterprise. I have a degree in Agricultural Science and spent the first four years of my ministry in one of the major wheat-growing areas of Australia so I though I would share some of my learning about the process. First, everyone seems to agree that the ‘tares’ or weeds of the biblical parable are a kind of bearded ryegrass also called ‘darnel’, and with the botanical name Lolium temulentum. For those of you who are not good at botanical names, both the uppercase L at the beginning of the Lolium (regardless of where it appears in a sentence) and the italicised words are essential if you want any agronomical cred at all. Fourth, once heads form even the most inexperienced person can tell the difference, as can be seen from the images to the right. It is not just at the harvest that the different kinds of plant are easily identifiable by all who care to look. The seeds of darnel are poisonous, or are commonly infested by a poisonous fungus, (Penn Veterinary Medicine, Poisonous Plants: Genus: Lolium (2014 ; available from http://research.vet.upenn.edu/PoisonousPlantsofPA/Loliumtemulentum/tabid/5459/Default.aspx) so they cannot be combined with wheat grain and must be disposed of before the grain is threshed from the plants, but when harvesting is done by hand, as happened in first century Palestine, it is easy enough to bind the darnel heads up in bundles and keep them separate from the wheat which is taken away for threshing. This is *not* possible with the modern combine harvesters. Fourth, harvesting is a labour intensive, time critical activity. 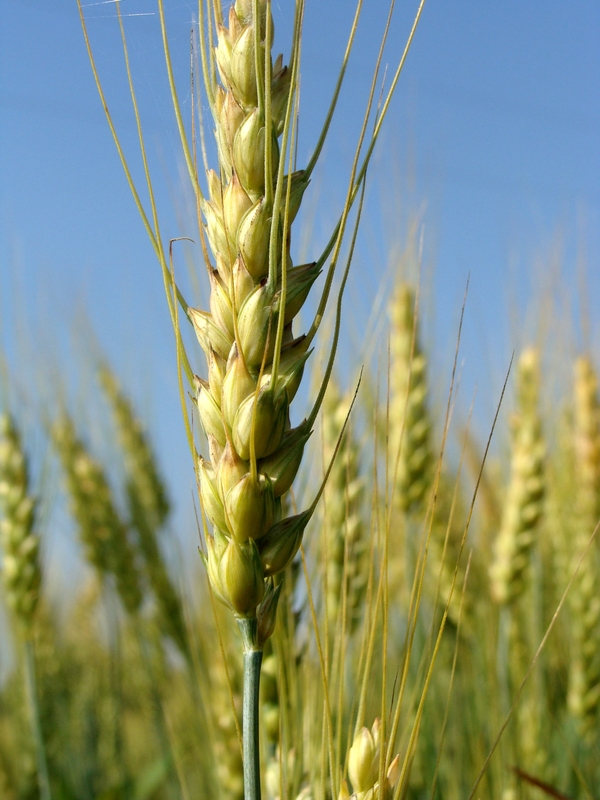 The grain cannot be harvested until it is ripe or it will not keep well, will not make good flour and will not sprout if it is being used to sow a new crop the following year. Once it is ripe, it needs to be cut as soon as possible because it will drop from the plant onto the ground and spoil if left too long, and if it rains while the ripe seeds are in the field, they will sprout in the ear and be unsuitable for flour making or replanting. The window of time is often only a few days. In the twenty-first century, the combine harvester goes into the field as soon as the dew has dried off enough and it works until late into the day and sometimes as far into the night as the dew makes possible. In pre-mechanised societies, it was customary to hire day workers as reapers to supplement the farmer’s normal workforce, so the reapers mentioned at the end of the Matthean parable are different people to the servants/slaves at the beginning – it is not just the literary device suggested by some commentators. Fifth, burning the darnel is the appropriate method of disposing of it, because burning will kill the seeds and make sure that the next crop planted in the field is not infested with darnel plants from viable seed left lying in the field. The more weeds you have in the crop, the more important it is to kill the seeds so you don’t have the same problem the next year. Despite Hultgren’s footnote citing the Dictionary of Life in Bible Times, (Hultgren, The Parables of Jesus: A Commentary, Grand Rapids; Cambridge, UK: Eerdmans, 2000 296 n 14. citing “Agriculture” in Willy Corswant (ed) Dictionary of Life in Bible Times (New York: Oxford University Press, 1960) it is highly unlikely that the tares would normally have been fed to stock, because the seeds are also poisonous to animals. (See, for example, M Tadych and J F White, “Endophytic Microbes,” in Eukaryotic microbes, ed. Moselio Schaechter; Amsterdam: Elsevier/Academic Press, 2012, 56.) 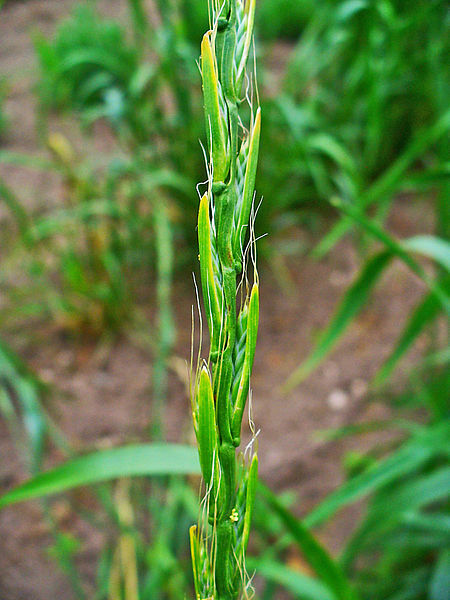 Keeping them for fuel has some significant problems in that carrying the ripe darnel plants away from the field has the potential to broadcast the darnel seed across a wide area, thus introducing weeds into other places on your farm, although if fuel was in very short supply, the farmer might have been willing to take this risk. Thus, the process described in the parable is not the unusual, allegorical account that some commentators want to make of it. Update: On re-reading the last sentence, I see that this could be interpreted as saying that Matthew doesn’t allegorise the account – of course he does, but the story itself is highly likely to be an account of a normal, if not frequent, happening in first century Palestinian agriculture. This entry was posted in Biblical Studies, commentary, Gospel of Thomas, theology. Bookmark the permalink. Judy, you have provided important agricultural data for understanding this parable. It looks like you’ve done your homework and the upshot is that the parable may be considered a realistic portrayal of (an aspect) of first century farming. Btw, shouldn’t your reference above be to GTh 57? Wow! I can’t imagine a more masterful treatment. Good stuff, Judy! Thanks for this excellent piece. I’ve posted it on my blog, Acts and More, with a link. I have heard it suggested that seed was scattered before ploughing? Judy why was was the wheat gathered in the barn in Mat. 13 without threshing and winnowing? James, i don’t think that it necessarily was. I suspect that the assumption was that everyone would know that the wheat was threshed and winnowed before storage (because otherwise it wasted huge amounts of room in the barn), and that how it was treated other than that it was saved when the weeds were burned was not necessary for the hearer to understand the point of the parable, so it wasn’t included. Thank you for writing and posting this. Very helpful and insightful. God bless you! I know it’s been four years since you wrote this but it is still benefiting the world. Thank you so much. The best agriculture /historical commentary I have read so far. I agree, William. I wonder if Judy has earned her PhD by now.